Nedim set comes with a boxy print shirt and a plain color harem pants. 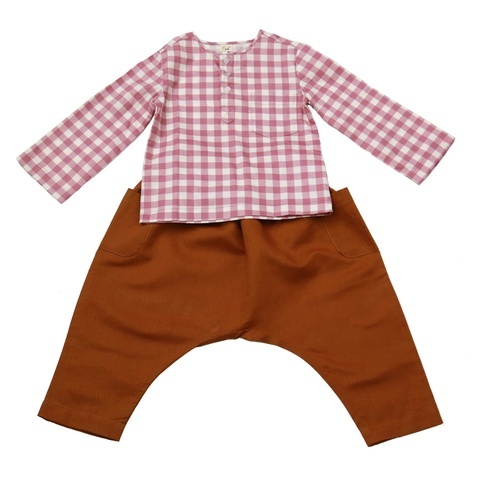 Materials used are cotton for the shirt, and light weight cotton linen for the harem pants. Both are suitable for our hot tropical weather in Malaysia. Both are made for comfort. 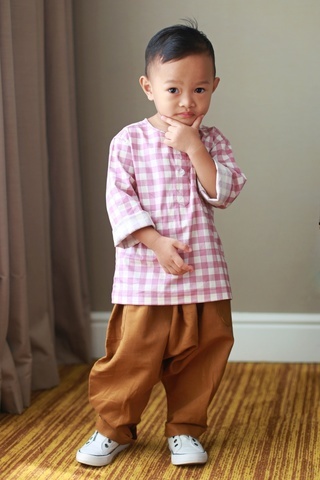 The simple, loose & airy design of the harem pants, will definitely win your kids' hearts! 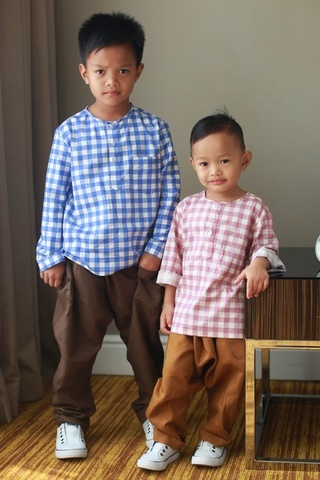 We created our clothes so that they can be paired with other outfit that your kids have. Pair the shirt with shorts for weekend outings, or denim for a movie night out. The harem pants will also look great with simple t-shirt or a kurta.